I have question relating to human Y–DNA haplogroups. 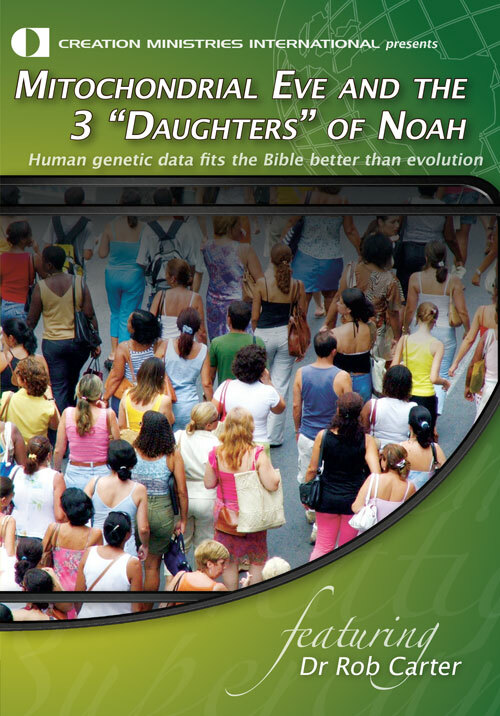 It is claimed that Y–DNA haplogroups allegedly “disprove” the Creationist “Out-Of-Ararat” model of human migrations and “prove” the Darwinist “Out-Of-Africa” model. The claim is that “Y Chromosome Adam” gave rise to two major sub-clades–A and BT. All living human Y-DNA haplogroups, except for A, are supposedly descended from Y-DNA haplogroup BT by way of two other major sub-clades–B and CT. The first carrier of Haplogroup CT (a.k.a. “Eurasian Adam”) is said to have lived in Africa and his descendants supposedly later migrated out of Africa to the Middle East becoming ancestral to all modern human male lines except for A and B which are both found almost entirely in Africa. Because of this, many Darwinists allege that this proves that humanity originated or “evolved” in Africa and migrated to other parts of the world from there rather than migrating from Babel in the Middle East following the flood to other parts of the world. How do human Y-DNA haplogroups fit with the biblical model of human migrations and with the Table of Nations in Genesis 10? 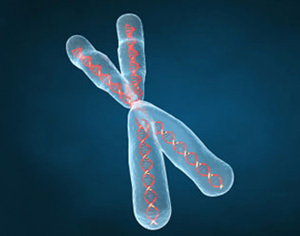 1) All human males share a very similar Y chromosome. This means we have a recent common ancestor. With the publication of the chimp Y chromosome last spring (only ~70% identical to human1), evolutionary theorists are being forced to decide between two uncomfortable choices. Either our common ancestor with chimps is much further removed than 6.5 million years or Y–chromosome Adam is much younger than 90,000 years. The timing of Y–chromosome Adam is not as friendly to evolutionary theory as was once assumed. The fact that some Africans are very different from other people in the world (including other Africans) indicates to me that they probably had different demographic history than other world populations and this led to extreme genetic divergence. 2) To draw a tree of Y chromosomes that traces back to a single individual, the assumption of a molecular clock is always (I have yet to see an exception) employed by evolutionary theorists. They assume that mutation rates are constant among all populations throughout our entire history. Corollary to this, they assume generation times have remained constant and that sub-population sizes, growth rates, and other demographic factors have been equivalent throughout time. I wrote an article that discusses the molecular clock hypothesis and its relation to the Recent African Origins hypothesis at length for our Journal of Creation. My arguments in the article above are mainly for Mitochondrial Eve, but they apply just as well for Y-chromosome Adam. If the molecular clock is not valid, the root cannot be placed anywhere on the tree with confidence. This is a critical point and should answer your question. The fact that some Africans (not all!) are very different from other people in the world (including other Africans) indicates to me that, rather than being part of the most ancient human population, they probably had different demographic history than other world populations (a population broken up into many small tribal groups is but one possible factor) and this led to extreme genetic divergence. Dear CMI: I have just read an amazing article about a manned submersible that reached the ocean floor (6 miles down!) back in the 1960s. What is even more amazing is that they discovered life down there! There is no doubt that life that could survive such an extreme environment must be wonderfully and fearfully made, and would have a very special design. Could it be that the strange creatures found in the so-called “Cambrian explosion” and the creatures that live at the bottom of the ocean are one and the same? Does CMI have a view on this? The deep ocean floors are full of weird and unexpected creatures. Species diversity is incredibly high, with more new species per square area than most other environments on earth, which is strange if you consider that environmental differences across the ocean floors of the world are almost non-existent. The deep ocean floors are full of weird and unexpected creatures. Species diversity is incredibly high, with more new species per square area than most other environments on earth, which is strange if you consider that environmental differences across the ocean floors of the world are almost non-existent (dark, high pressure, no light, extreme cold, and mud everywhere). The deep ocean has also been a source of speculation throughout the centuries. There was one ill-fated but popular idea that the ocean floor was covered in a proto-life ooze that was constantly giving rise to new life forms (see Bathybius haeckelii and a ‘reign of terror’). Most of the creatures that live in the abyss, however, are versions of familiar critters from shallower waters (starfish, worms, etc.). All of these phyla appeared suddenly in the “Cambrian explosion”, but so did all of the extant phyla on earth (for more information, see The Greatest Hoax on Earth, ch. 7). Sadly, we cannot correlate the ocean bottoms with the Cambrian explosion. Thanks for the intriguing question and thank you for showing interest in our ministry. Hughes, J.F., et al., Chimpanzee and human Y chromosomes are remarkably divergent in structure and gene content, Nature 463:536–539, 2010. Return to text.